The Easiest Way to Peel an Orange! 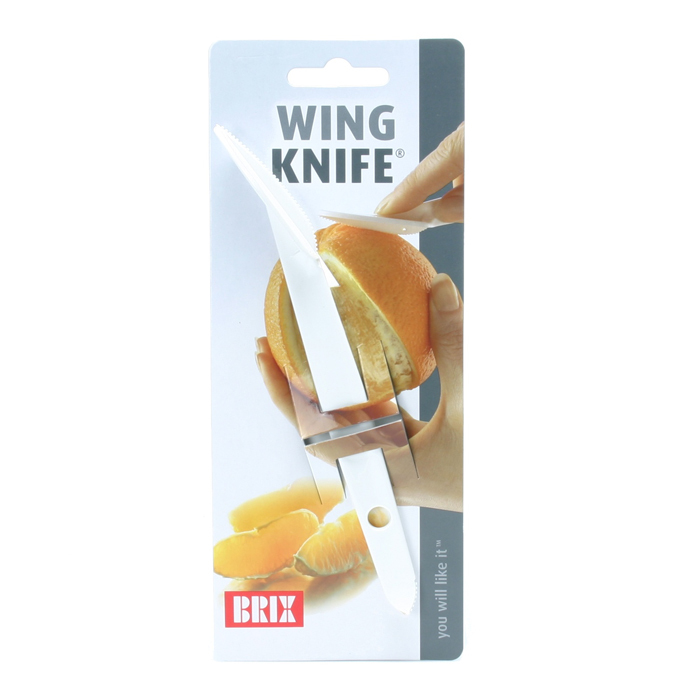 The patented WingKnife is a smart and handy citrus peeler for both oranges and lemons. Specially designed to handle both thick and thin peels. The "wings" of the peeler prevents you from cutting too deep. WINGKNIFE - SAFE AND HANDY! WingKnife is a handy peeler for all kinds of citrus fruits. 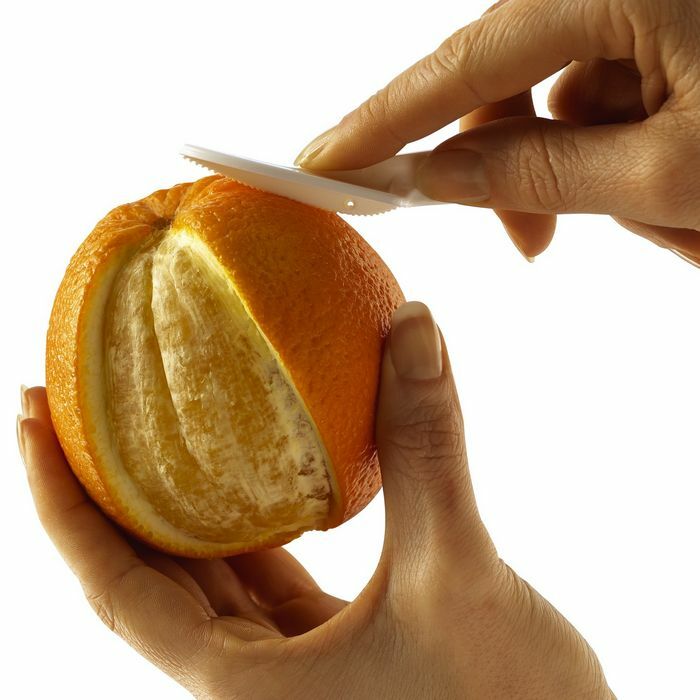 The peeler is simply used like a knife in order to cut lines in the orange etc. With the other end of the WingKnife the peels are easily removed without damaging the orange. WingKnife is made of high-density plastic in an elegant design. It has no moveable parts, and is extremely durable.